I see a quaint farm scene & orange pumpkins too! I see them grow for me and for you.. And I think to myself What a wonderful puzzle. 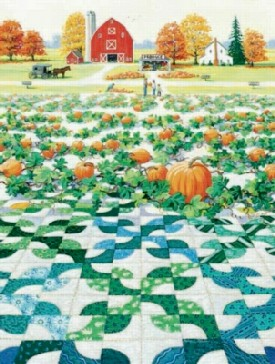 You too can recreate this wonderful farm scene all 300 pieces of autumn just waiting for you! This puzzle measures 18"x24" This puzzle is Eco-Friendly and printed with Soy-Based Inks on Recycled Board. Proudly made in the USA.